Are you smart enough? 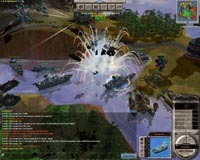 — Wargaming.net releases new patch for its online turn-based strategy game Massive Assault Network 2. 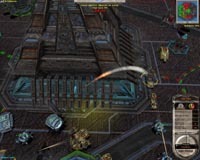 This game is set in sci-fi futuristic world, where players fight on various planets for global supremacy. "We've got plenty of responses from fans and incorporated a lot of requested features into the game. The patched version of Massive Assault Network 2 will let players see just how far the development has come in the last few months" — says Victor Kislyi, CEO at Wargaming.net. 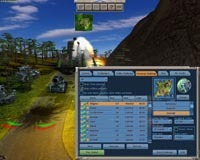 Drop-down menu adds new shortcuts that allow display the grid of hexes, view distance between two locations, show possible threat from hostile units, make screenshots, etc. Award system now rewards each player once they reach 25, 50, 100, 200, 500 and 1000 victories over other live opponents. Default settings have been adjusted to ease battles for new players. Registered players may upload their avatars (to be verified and approved by support manager) from "My Profile" sections. 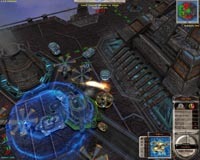 New animated cursor for unit selection. Lots of minor optimization and interface enhancements.